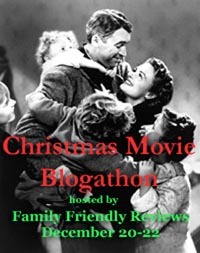 ← Classic Movies New Year’s Resolution: DVD Contest Giveaway! Win Tickets to see “An Affair to Remember” on the Big Screen! in Select Cinemas Nationwide Sunday Feb 12 & Wednesday Feb 15! 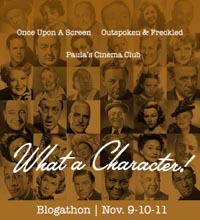 CMH is thrilled to announce the 2nd of our 14 movie ticket giveaways this year, courtesy of Fathom Events! That said, we’ll be giving away EIGHT PAIRS of tickets to see “TCM Big Screen Classics: An Affair to Remember” – the timeless classic starring Cary Grant and Deborah Kerr — the way it was meant to be seen — on the Big Screen! In order to qualify to win a pair of movie tickets via this contest, you must complete the below entry task by Saturday, January 28 at 6 PM EST. We will announce the winner(s) on Twitter on Sunday, January 29, between 6PM EST and 7PM EST. If a winner(s) does not have a Twitter account, we will announce that winner(s) via this blog in the comment section below. About the film: Cary Grant and Deborah Kerr star as the two lovers who meet by chance on a trans-Atlantic voyage and fall in love despite their existing relationships. When they agree to meet six months later atop the Empire State Building, they cannot foresee the tragic circumstances that will test the limits of their devotion. What do you love about “An Affair to Remember”? And, if you haven’t seen it, why would you like to go see it on the Big Screen? 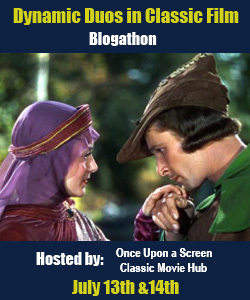 This entry was posted in Contests & Giveaways, Fathom Events, TCM Big Screen Classics and tagged an affair to remember, TCM Big Screen Classics: An Affair to Remember. Bookmark the permalink. I love “An Affair to Remember” because it is a truly romantic movie. 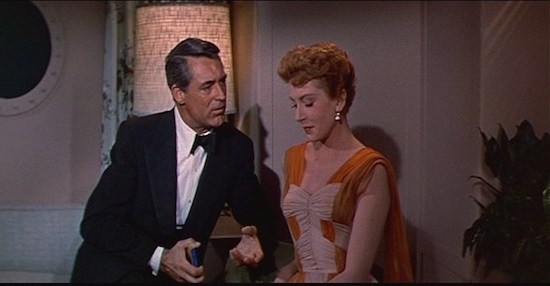 I also love it because of Deborah Kerr and Cary Grant and their chemistry! It is pure magic to me. I have seen it many, many times and I cry every single time and at the same place in the movie. When Deborah says the line: “I was looking up. You were there. It was the nearest thing to heaven”, my heart just starts melting. I have never seen it on the big screen and I can hardly wait to see it. I do not have a Twitter account, so I am posting here to enter but cannot tweet the message. EVERYTHING……….It’s my favorite all time movie. I hear you 🙂 Thanks so much for entering and Good Luck! Any classic movie fan who’s not a Cary Grant fan and not wanting to see him on the big screen is bonkers. Plus, there’s the opportunity to view the talented and gorgeous Deborah Kerr, with both of them under the tutelage of the wonderful Leo McCarey. In baseball terminology–triple play! Bonkers indeed! 🙂 Thanks so much for entering and Good Luck! An Affair to Remember was my first Cary Grant movie. I was instantly smitten! Hi Monique, I can’t seem to find your tweet. Could you please tweet the message or let me know here if you don’t have a twitter account. Thanks! It’s a great film. It’s a classic. It’s romantic. It’s talked about in the film Sleepless in Seattle. It would be quite nice to see it on the big screen. I am a humongous fan of Cary Grant. This man is the epitome of sophistication, elegance, suave, charming and irresistible. It’s hard not to watch him over and over, regardless of how many times I’ve seen many of his films. Love Deborah Carr too and never miss her movies. They’re both top notch professionals, and seem to work together effortlessly, such great rapport! I could go on and on, but you get the picture! This is a real tear jerker and I always cry at the end of it. Such romance; and the filmmakers were totally awesome for bringing us such wonderful entertainment. Best movies were in the 30s, 40s and 50s. Hi Zahida, I can’t seem to find your tweet. Could you please tweet the message or let me know here if you don’t have a twitter account. Thanks! I have never seen “An Affair To Remember”, but I would love to! I love Cary Grant. I’ve seen several of his other movies and he’s one of my favorite actors. I think the best way to discover a classic movie is with the chance to see it in theaters with fellow movie lovers. I went to see TCM’s presentation of “Singin’ In The Rain” this afternoon and it was a wonderful communal viewing. I would love to have the chance to experience “An Affair to Remember” for the first time through a similar experience. Also, having seen “Sleepless in Seattle” several times, I already know “An Affair to Remember” is one of the greatest romantic movies of all time and I always love a great romantic movie! Nice reason. I saw Singin in the Rain today as well… it was such fun watching it in a theater with like-minded fans! Thanks for entering and Good Luck! I haven’t seen An Affair to Remember, but I adore Cary Grant. I figure what better time to watch the film for the first time than on the big screen! It’s also my grandmother’s favorite movie and I’d love to take her to see it in theatres. Ok…well in all honesty, I’ll have to say that I did not go ga-ga over Sleepless in Seattle and only knew afterwards that it was a ‘remake’. 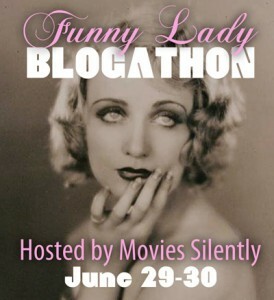 I typically do not like remakes nor am I one to go for most ‘chick flicks’ (or chick lit)….I know I’m odd that way. I’m more of a When Harry Met Sally Type, but I’m willing to give it another try. I always wonder: Do they think these are NOT great films to start with and they think they can improve upon them, or that they WERE great films and want some of the same accolades, or more likely, they are just out of original ideas. I mean… it HAS already been said: There’s nothing new under the sun. But for Cary…..it would be worth it. Hi Shelia, Congratulations, you are one of our winners! I just emailed you. If you don’t receive the email, please let me know. Thanks! I just love Cary Grant–enough said. This movie is probably the best romantic film of all time. For sure top 3. And who doesn’t love Cary Grant. If you look up actor in the dictionary, his face will probably be there. The chemistry between Cary Grant and Deborah Kerr is second to none in all of movie history. Also, after seeing “Singin’ in the Rain” on Sunday, classics on the big screen are amazing. Romance & grandeur that isn’t made anymore… would be spectacular to see on the big screen! “An Affair to Remember” is such a beautiful movie. Not only is it a wonderful love story, but the pairing of Cary Grant and Deborah Carr is magic. Cary Grant has always been my favorite leading man, and this movie has always been one of my favorites of his. To be able to see this movie on the big screen would be so wonderful considering he is my absolute favorite as well as I am from/live where he tragically passed. Such a gift to be able to see these films in the theater where they were meant to be seen! I saw this movie too many times to remember. I cry every time. I saw it with my sister all the time. I own it on DVD Blu Ray and still watch it on TCM, EPIX, or whatever channel it’s on.Why,because it is Sentimental.Very Romantic. and finally Terry telling Nicky how she was looking up because, she knew he was there. it was the nearest thing to Heaven they had. and if he could paint, she could walk. anything wass possible. I love Sleepless in Seattle because, they pay homnage to this film. I want to introduce this film to my boyfriend on Valentine’s Weekend which is also our Anniversary. I told him that, I want to see it with him. I love this movie because the chemistry between Cary Grant and Deborah Kerr is undeniable. And I love that even though it’s not the perfect happy ending it’s still a satisfying ending. Cary Grant is one of my all time favorite actors, and this was the first movie that I watched Deborah Kerr in. An Affair To Remember is one of my favorite classic films because, as we all agree, their chemistry is amazing! But, I love their exchanges! The glances! Deborah Kerr is amazing! 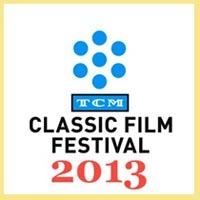 I am an old soul who enjoys watching TCM, and I have never seen a classic film on the big screen! I think this would be a terrific one to see! It has always been my dream to see Cary on the big screen and now that the opperunity has come up- I’m jumping at it- even If I dont win tickets- I will buy them to see Cary! Me and my mom would live to go see An Affair to Remember as Its on of Cary’s best films! I personally love the unwavering admiration between the two leads in the film- just so touching! It makes you believe love is really the strongest power of all! Well, I haven’t seen this, yet. However, it is my mission to see every Cary Grant movie with my mom. I admit she loved him first, obviously and I can’t think of a better way than to see this with her on the big screen. I love sharing moments with my mom and this will be the best surprise. I admire their dedication and how their unwavering love stood strong their entire lives.— I do not have a Twitter account, so I am posting here to enter but cannot tweet the message. I love Cary Grant, Deborah Kerr, @TCM and classic movies! I’ve seen so many of Cary and Deborah’s films but actually have never seen this one! I did see Sleepless in Seattle when it first came out and I loved it and have been meaning to see this ever since. I am way overdue! I love that the courtship in the first half of the movie is so mature. The actors are older, and the characters have been around the block, so they’re a little cynical at first. Then they spin it around to get very sentimental and sincere. Hi Erin, Congratulations, you are one of our winners! I just emailed you. If you don’t receive the email, please let me know. Thanks! I love their chemistry…especially they way they could read each other’s thoughts. “An Affair To Remember” has always been my favorite romantic movie. The number one reason is Cary Grant! He’s so handsome and charming! It’s such a sweet movie. Love how they meet and their plan to meet at the top of the Empire state building. Deborah Kerr is so beautiful and her interactions with the children are so sweet. Another favorite part of mine is when they visit with the grandmother, and of course you can’t forget that shawl! This movie makes me laugh and cry every time I watch it! And that’s quite often. This film is part of classic Hollywood and EVERY aspect of it is perfection! THANK YOU for giving us a chance to see these films in the manner in which they were intended to be seen, on the silver screen. It also happens to be my Birthday weekend. Would LOVE to win a block of tickets! I have a show on the 12th (1PM). I would love to bring several audience members with me afterward. Hi Richard, I don’t see your tweet yet. Please remember to either tweet the message in the blog post or let us know here if you don’t have a twitter account. Thanks! I love An Affair to Remember because it sweeps you away into a fantasy world full of enduring, undying love, the kind that seems almost within our real life grasp…almost. And for all the waterworks, I cry every time. I have not seen An Affair To Remember yet but love Cary Grant. When I was 4 years old, we were in a restaurant and his picture was on the wall and I asked my Mom if that what handsome is. My Mom loved him as well. Unfortunately she passed away 10 years ago but would love to go to feel her presence with me. Hi Jaimee, I don’t think I see your tweet yet (unless your handle doesn’t match your name). Could you please confirm that you tweeted, or let me know here if you don’t have a twitter account. Thanks! I am currently 29 years old and still I have never seen an Affair to Remember. Since moving to Hollywood, CA a few years ago, I have learned that the best thing about this city is hands down the opportunity to see classic and beloved films on the BIG SCREEN as they were absolutely meant to be seen. For me, there is no experience like taking myself to the movies. No matter what is going on in my personal or work life, I know that I can count on a film to take me by the hands and lead me on a wonderful adventure, if but for a short amount of time. An Affair to Remember is a movie that is on my “Wait for Theatres” list – there are just some films that are worth waiting for. I cannot wait to see this film on the big screen, and would love the opportunity to win a ticket or pair of tickets. One of my favorite facts about Cary Grant is that his birth name is Archibald Leach; to make oneself into the wonderfully talented and poised Cary Grant is amazing to me. He’s a master of the craft. Cary Grant is my favorite actor. I love seing his films at the theater. Deborah Kerr is wonderful in this film You just know that she would have kept in touch with the Grandmother. I’m not such a huge movie buff that I remember lines of movies or what I love about them. But I do remember the “feels”. And the feels of this movie are huge. Romance, Drama, swoon worthy actors….I have been just loving seeing all my favorites on the big screen the past couple of years. Such an incredible opportunity and this movie is an absolute must see. I can’t wait! I have never seen “An affair to remember” but it’s one of my mother’s favorite movies and is playing on her 47th birthday (February 12th). The opportunity to take her to see this film on the big screen would mean getting to give her exactly what she wants for her birthday (for once). I know it would make her day and nothing would make me happier than to take her out on the town and watch her enjoy her birthday doing something that makes her smile. I cannot pick one thing. I love everything about An Affair to Remember. I do not have a Twitter account, so I am posting here to enter but cannot tweet the message. 🙂 Thanks for entering and Good Luck! I love everything about the movie, but the part I LOVE the most is when he finds her and slowly realizes that she is disabled. Heart wrenching moment! What I love about it is the love between them that can’t be denied. No matter what, it prevails. I want to take my 87 year old mom and 64 year old girlfriend to see movie on the big screen. We just saw Singing in the rain last week. Wonderful reason! Please remember though to tweet the message, or let me know back here if you don’t have a twitter account. Thanks! This is my favorite movie, my mom introduced it to me and she and I have watched it several times together. One year, I gave her a copy on DVD for Valentine’s day and I made her cry because as much as she loves the movie, no one had ever gotten it for her before. I love the humor and the love story, how deep their love is. When my fiancé passed away July 2015, love stories became unbearable because I miss him so much. Expect this movie, this one still makes me smile. Not to mention I adore Cary Grant, he is one of my favorite actors, a true classic. I have a picture of me with his star on the Walk of Fame from when I visited in 09. Mama and I would have so much fun watching this on a big screen! I love watching An affair to remember with my Mom. It’s our favorite romantic film… I would love to take my Mother to see it on the big screen. We both love Cary Grant and it would be fun to see him Life Size! I have loved this movie since I was about ten years old and I watched it on our old black and white TV with my mom and sisters. It is, to this day fifty years later, my all-time- favorite movie. 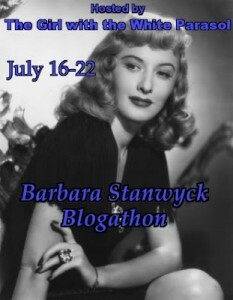 Cary Grant is so elegant and handsome; Deborah Carr so independent and witty. My favorite scenes are the ones with Nickie’s grandmother and the shawl, with that beautiful music swelling in the background. The chemistry between Carr and Grant was beyond any I’ve seen on screen since. As I’ve only seen it on the small screen, seeing it on a large theater screen would be divine! Hi Diane, I can’t seem to find your tweet. Could you please confirm that you tweeted, or let me know here if you don’t have a twitter account. Thanks! Beyond the wonderful acting by 2 of Hollywoods best “Golden Age” actors, what I love best about “An Affair to Remember” is how beautifully it portrays the randomness of life (those who HAVE seen this fantastic movie, will understand) as well as how love can come into our lives at the most unexpected moments. **I do not have a Twitter account, so I am posting here to enter but cannot tweet the message. I absolutely love this movie. Certainly the ending is the best, of course! 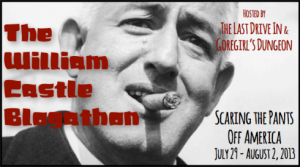 I would also love to win these tickets as Cary Grant is one of my favorite actors and it would be awesome to see this movie on the big screen!!! I would like to see how the Empire State Building is shown and looks, along with the rest of New York at that time. I do not have a Twitter account, so I am posting here to enter but cannot tweet the message. Such a beautiful film… and how can anyone resist Cary Grant 🙂 Thanks so much for entering and Good Luck! I’d love to see this classic movie on the big screen. I love classic movies in general and it would be so much fun to see it with my daughter. Hi Jacqueline, Congratulations, you are one of our winners! I just emailed you. If you don’t receive the email, please let me know. Thanks! Cary Grant is just adorable! Hi Teresa, please remember to tweet the message from the blog post, or let me know here if you don’t have a twitter account. Thanks! This is just such a lovely romance to lose yourself in. I do love how they strive during their time apart to make themselves better, more worthy of this tremendous love they’ve found w/each other. Hi Amy, I can’t seem to find your tweet. Please confirm that you tweeted, or let me know if you don’t have a twitter account. Thanks! A timeless movie. A timeless love. I try not to cry at the end, and I know it so well, yet my emotions overcome me . . . sigh . . . I do not have a twitter account so I am pisting here to enter but I cannot tweet the message. I have seen this movie multiple times but never on the big screen. I love the scene when he finds her and she tries to disguise her injury – heartbreak! I saw Singin’ In The Rain last weekend, what a treat! Wasn’t Singin’ in the Rain fun on the Big Screen!!! Not sure how I will keep myself from crying at the end of Affair to Remember… but I’ll try 🙂 Thanks so much for entering and Good Luck! Hi Ruth, Congratulations, you are one of our winners! I just emailed you. If you don’t receive the email, please let me know. Thanks! Hi Ruth, I just sent you a 2nd email about your winnings. Please let me know asap if you didn’t receive the email. Thanks! I have never seen ‘An Affair to Rember’ on the big screen. When I was a little girl, I spent a lot of time on bedrest due to a heart cindion…which meant I watched a lot of movies. My mom and grandmother would show me some of their favorites. My grandmother loves this film, and Cary Grant was my first crush because of films like this. February 12th would have been my grandmother’s birthday, and I can think of no better way to honor her memory than to take my mom to see ‘An Affair to Remember’ on the big screen. What do I love about the film? Cary Grant, of course! There is no one else like him! I would love to see this beautiful film on the silver screen with my mother, so we can swoon together! I do not have a Twitter account, so I am posting here to enter, but I cannot tweet the message. I love the actors and the fact my grandmother installed a love for Classic movies in me at a young age! 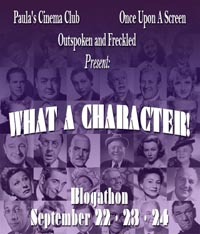 Classic movies should be seen on the big screen! Just saw Singin in the Rain and let me tell you, you had an audience full of happy fans. When you have stars that were as big as Carey Grant and Deborah Kerr, they deserve to be honored by seeing them on the big screen for the 60th Anniversary. All the classic movies deserve this treatment so that generations to come can also enjoy them the way they were meant to be seen. I haven’t seen it, but I adore all things Cary Grant and love! I know it’s a classic, I just haven’t had the opportunity to see it! Good enough reason for me 🙂 Thanks for entering and Good Luck! I watch An Affair to Remember every time it’s on TV, and I would love so much to see it on the big screen. This is one of my all time favorites! They don’t make movies like this, or men like Cary Grant, anymore! I loved watching this movie with my grandmother. We would watch it and cry at the end every single time. Great memories. I became a fan of this movie originally due to my love of Sleepless in Seattle. I’d love to watch it in the theater. I have not seen it in a very long time. I do not have a Twitter account, so I am posting here to enter but cannot tweet the message. 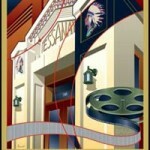 I miss seeing old movies with my mom. She passed away in 1998. So I go by myself but still enjoy a great movie. Well, I am hoping that watching the classics bring fond memories to you. Thank you so much for entering and Good Luck. Hi Cynthia, Congratulations, you are one of our winners! I just emailed you. If you don’t receive the email, please let me know. Thanks! I love so much about An Affair to Remember…the story, Carey Grant and Deborah Kerr, their chemistry, the smart dialog, her wardrobe, everything!! I’ve never seen it on the big screen and cannot wait to do so!!! I have never seen “An Affair to Remember”, even on the small screen, so what better way to see it than on the big screen. NOTE: I do not have a Twitter account, so I am posting here to enter but cannot tweet the message. My love affair with An Affair to remember began at the impressionable age of 11, and I am turning 40… what do I love about it? Cary, Debra, the banter, the looks, the waiting, the dedication to each other and to themselves… And what is there NOT to love? I’ve dreamed of the opportunity of watching it on the big screen, and sharing my love of this movie with my son, whom I’ve taught to love classic films. Hi Liz, I can’t seem to find your tweet. Could you please confirm that you tweeted, or let me know here that you don’t have a twitter account. Thanks! I love An Affair to Remember because it’s an epic love story. And, Cary Grant. What’s not to love? They just don’t make em like that anymore. I love that Sleepless in Seattle, another great movie, references the it several times. Hi Breezy, Congratulations, you are one of our winners! I just emailed you. If you don’t receive the email, please let me know. Thanks! I truly love “An Affair To Remember”! Cary Grant was a great actor, and he was at his best in this movie. Deborah Kerr was wonderful. I’ve seen it many times, but always on television. I would love to see it on the big screen with my bride – just before Valentines Day! WHEN CARY TAKES HER TO SEE HIS GRANDMOTHER. IT IS SO VERY LOVING AND TOUCHING. I DELT LIKE I WAS THERE. I ALSO LIKED HOW THEY FELL IN LOVE AND HE TRIED SO HARD TO NOT DRAW ATTENTION TO HIMSELF. HE WAS A CELEBRITY BUT WANTED TO BE MORE DOWN TO EARTH. HE FINALLY KNEW WHAT LOVE WAS. Hi Rose, I can’t seem to find your tweet. Could you please confirm that you tweeted, or let me know if you don’t have a twitter account. Thanks! I love Cary Grant so seeing this movie on the big screen would be wonderful. I love it when he finally realizes where the picture is that he painted. I wish my Mom was still alive to watch this with me on the big screen. We both thought Cary was very handsome. 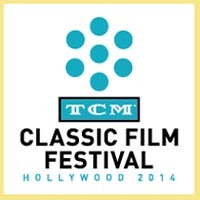 Growing up, TCM was my absolute favorite television channel. I remember staying up late one night to watch Love Affair, starring Irene Dunne and the dashingly handsome Charles Boyer. Later, I learned that one of my favorite film had been remade with Cary Grant. I was instantly enamored with the film (I loved all things Cary Grant – even Gunga Din). I love being able to see classic films on the big screen, and I can’t wait to see An Affair to Remember. This is one of my favorite movies – can’t wait to see it on the big screen! 2 of my favorite actors! Such a beautiful film- also just saw Singing in the Rain for the 2nd time on the big screen – love the classics. I do not have a twitter account, so I am posting here to enter, but I cannot tweet the message. Hi Cheryl, Congratulations, you are one of our winners! I just emailed you. If you don’t receive the email, please let me know. Thanks! I have never seen the movie but I would absolutely love to see it on the big screen so I can have a experience close to what the people in the 50’s felt when they saw it for the first time too! 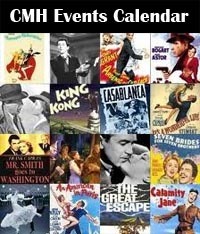 I absolutely adore classic old films and I have just recently started going to Fathom Events to get a theater experience while watching them. I saw this movie as a teen about 20 years ago and thought it was one of the most romantic movies ever. Love both of them. I do not have a Twitter account, so I am posting here to enter but cannot tweet the message. Its one of my favorite movies! I grew up watching it with my grandmother, because it was her favorite movie. It is so romantic and you can just get lost in it! This is one of my mother’s favorites and has become mine. One of my favorite memories as a young girl, was being woken up by my mom because An Affair to Remember was playing on TV late at night. We snuggled on the couch together and watched it and I remember being completely mesmerized by the actors and storyline. It was just so romantic!! Watch this movie several times a year. Excited to see it on a movie screen. Hi Beth, I can’t seem to find your tweet. Could you please confirm that you tweeted, or let me know if you don’t have a twitter account. Thanks! Hi Amy, I can’t seem to find your tweet. Could you please confirm that you tweeted, or let me know if you don’t have a twitter account. Thanks! “An Affair To Remember”. This movie not only has the beautiful Carey Grant and Deborah Kerr, it just takes your breath away. You can feel the spark between them. Oh and when they go to see his grandmother. How beautiful was her home. I especially loved her chapel and while Deborah was in praying, Carey came in. That whole seen just kept me in awe… The puppy waiting for her, the she meeting Deborah. The song, to them having to say good-bye. When she goes back to her for a HUG!!!! It was all lovely until she goes to meet Carey at the Impire State Building and you hear that crash. I don’t think I have ever cried so much. No maybe when he goes to see her to give her his grandmother shaw and she is just sitting there, not moving. I think OH NO, he is never going to know she is crippled. But he sees the picture and figures it out, then of course I ball my eyes out…. I’ve seen alot of the Turner Classic Movies and feel inspired all the time for more. Here’s to Carey Grant and Deborah Kerr giving us a gift from this movie… there is the hope to fall in love… Enjoy it to all who see it. Got it… Thanks! Loved your comment 🙂 Thanks for entering and Good Luck! I love the use of “timing” in the lives of the characters. The ironic incidents which allow these two to meet but not to re-meet for the confirmation of their love for each other. How their lives are lived, always wondering what if and then the culmination of events one night in a theater. The shawl, the painting and all of the other elements leading up to the truth and the love that never died. I haven’t seen this film in its entirety, but my best friend has and she definitely wants to see this on the big screen. So, whether or not I win, I will be looking forward to this next month. Does it get better than that? “An Affair to Remember” is elegant, funny, heartwarming, and one of the greatest films ever created. It is my grandmother’s favorite film, and I learned to love it at an early age. The banter, the music, the perfect cast – it will forever be one of my favorites! I love the movie because of the performances. Cary Grant is amazing and Deborah Kerr is flawless. Their chemistry is through the roof. Plus I agree, ESB is the closest thing to heaven. I like the story and Cary Grant and Deborah Kerr were perfect in the roles. I’ve never seen An Affair to Remember on the big screen. I have heard of the film An Affair to remember because I love romantic movies. This beautiful classic film should be on a big screen to fully appreciate the chemistry between Nickie and Terry as well as how love triumphs through sickness and in health. In Terry’s case, it’s her disability. It’s hard to find the right person and when you do – hold on to that despite unforeseen obstacles. This is why a classic film like An Affair To Remember should be seen on a full screen especially around Valentines Day to remind and fully appreciate love. I’ve never seen the movie but know it is a classic so I want to see it to grow my love of old black and white classic movies. cary and deborah of course! their chemistry is amazing! the scenes on the ship! the clothes! so glamorous & dapper – forget the whole movie! Love, love! Hi Tana, I can’t seem to find your tweet. Could you please confirm that you tweeted, or let me know if you don’t have a twitter account. Thanks! My motive for entering this month is quite the paternal – I can’t wait to take my teenage daughter to see this great film for the first time! I have enjoyed it for years – but there’s nothing quite as satisfying as sharing a favorite film with one of your favorite people, knowing they’re going to love it. One thing that I particularly enjoy about the movie is it’s complete commitment to the plot. Sure it is a soap opera in that it is so overly dramatic and romantic. But that’s what makes it so wonderful. It is unapologetically what it is. Where do I begin?! This is my favorite movie! I love the way the characters interact and the dry humor. They are both classic actors and you couldn’t imagine someone else playing either role. It’s a timeless classic. I have never seen An Affair to Remember, and I always find it so spectacular to see a classic film for the first time on the big screen. In fact, you could even say that I often hesitate to watch some classic films in hopes that Fathom Events will release them in theaters, and this is definitely one of those films. I adore Cary Grant’s comedic performances and the vulnerability and versatility of Deborah Kerr’s performances, so I don’t doubt that I’d fall in love with An Affair to Remember, just as many have before me. Not to mention how perfect it would be for a Valentine’s Day movie for my fiancé and I, who try to make as many Fathom Events screenings as possible but we were too late to snag the coveted Big Screen Classics passes that we meant to get each other for Christmas. This would be the next best thing! Hi Samantha, Congratulations, you are one of our winners! I just emailed you. If you don’t receive the email, please let me know. Thanks! I’ve never seen it (though I’ve definitely been meaning to) but I love seeing older movies on the big screen, so this would be a fun one to check out. Seeing old CinemaScope movies in theaters is always a treat! This film is absolutely romantic! It features two of my favorite actors, the underrated Deborah Kerr and the iconic Cary Grant, too! Mostly, I enjoy the fact that it didn’t take much away from the original. 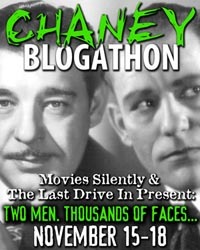 Besides, who could bypass saying no to Cary Grant ONTHE BIG SCREEN!! It would be a tre treat to see it. I’ve never seen it but I’ve always wanted to & it seems like a perfect Valentine’s date night movie to see it for the first time on the big screen. Hi Shelia, I haven’t found your tweet yet. Could you please confirm that you tweeted, or could you let us know if you don’t have a twitter account. Thanks so much! The chemistry between Cary Grant and Deborah Kerr is surely the stuff that romance movies are made of. 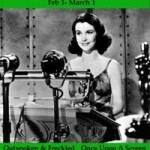 Add a great storyline, Cary Grant and a BIG screen….I would be in heaven for Valentine’s Day. I remember as a teen, my siblings and I were watching something on t.v. when our father rudely turned the channel to this movie. Our resentment slowly faded as we observed, along with the other passengers, the love affair develop between Nickie and Terry on the cruise ship. My favorite part was when they kisssed on the ship, but as you know, they never showed them kiss on the ship! Wink wink. I do not have a Twitter account, so I am posting here to enter but cannot tweet the message. Thank you. I love An Affair To Remember! My first ever Cary Grant movie was Penny Serenade. There’s just something about him that pulls you in. I wasn’t familiar with AATR until I saw Sleepless In Seattle. I got the impression it was almost like a remake, so I found a copy and loved it! As they say in SIS, it was like MAGIC! I love all things Cary Grant! I’ve watched this movie at least 4 times. Such a wonderfully shocking twist at the end. I have a special reason why I love this film. My parents became engaged at the Empire State Building! My Mom passed away but she often told me about romantic dates she and my Dad had in NYC! I do not have a Twitter account, so I am posting here to enter but cannot tweet the message. I have heard for years how An Affair to Remember is a timeless film, yet I never seemed to find the time to watch it. I love Cary Grant movies and am excited to see him in a different role. I have been gradually introducing my boyfriend to films from this era, so I’d love to take him and continue sharing in my love of the beauty of classic films. I would love to win to to see this classic movie. I love classics. I can’t believe it is their 60th anniversary of this movie. *I do not have a Twitter account, so I am posting here to enter but cannot tweet the message. An affair to remember was the first romantic movie I ever watched. It reminds me of my mom and I curled up on the couch eating popcorn and crying to every tear jerking scene. When scenes were cut to leave things to the imagination. When movies were amazing. I’m a child of the early 80s. But I’ve heard Cary Grant and know he’s considered one of Hollywood’s all-time stars. While I’m not personally familiar with Deborah Kerr, given the movie’s reputation and lasting place in Cinematography I’m sure it’s worth the effort to see him and her at their best. Plus the movie is an original, not a remake as Hollywood is so fond of doing these days. Did tweet it on my twitter account but the comment post didn’t allow the link to be posted here. I do not have a Twitter account, so I am posting here to enter but cannot tweet the message. 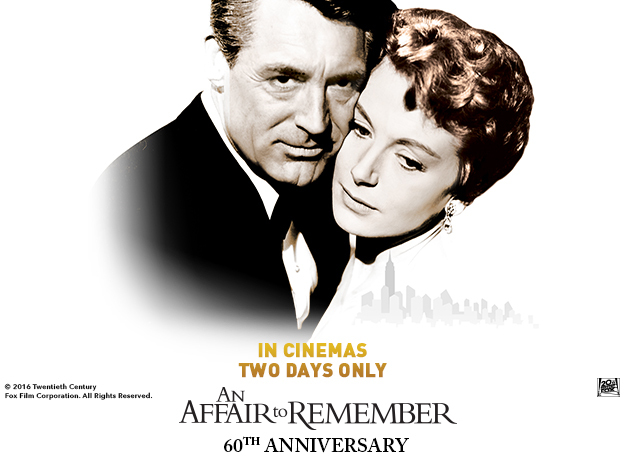 I would love the opportunity to see An Affair to Remember for the first time in theaters. It is truly a classic!